How Transactional and Voice SMS Services are Effective in Marketing? Transactional and Voice sms services have recently replaced all the traditional methods of messaging. These kinds of marketing services are very much powerful in nature as larger portions of market can be easily captured. In this case, the messages are sent to the targeted customers in a completely customized manner and thus greater impacts can be ensured.Transactional and Voice Bulk sms services in India are quite a popular marketing concept these days and thus all Indian companies are highly dependent on the same for making extensive business promotion. Voice sms services help in broadcasting the message of your company openly so that innumerable call recipients can receive the same instantly. Marketing campaign of any company can receive absolutely personalized touch by means of these kinds of valuable bulk-sms services. This is the very reason that voice sms services in India are so very popular. Specialized notifications can be showed and on the other hand voice campaigns can be effectively scheduled by these specialized marketing strategies. Real-time reporting can be highly ensured as a result of which you can come to know about the conversion rate without making any special efforts. Varied regional languages can be included as a result of which good number of communities can be influenced at the same time. If you are looking for the best means of marketing, then nothing can be the right option other than bulk voice-messaging. Notifications can be easily received as and when required and this is one of the greatest advantages in this regard. Promotional campaign’s responses can be easily and efficiently measured band thus you can come to know how the customers are reacting at your company’s messages.In fact, the voice messages can be easily modified or altered in accordance of these received responses. If you are intending to make promotion oradvertisement of any new service or product launched by your company, then this can be treated as one of the best way-outs that can cater you greater satisfaction and easy responses. You can also receive valuable suggestions or comments from your customers so that your products can be improved. In fact, these responses play ate most valuable role in initiating extensive researches and experiments that ultimately leads to the overall improvement in the productivity and functionality of your product. 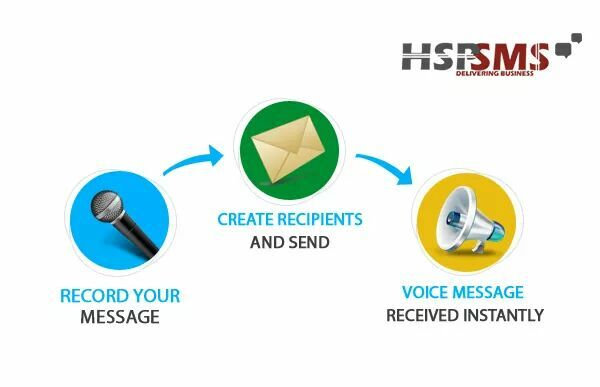 We, at HSP Media Networks, offer the best bulk voice SMS services to propagate the message or offers proffered by a brand or company to the targeted call recipients in the fastest way. The voice SMS is quite efficient in conveying the right information to the customers and prospects. Contact Us (http://hspsms.com/) to know more! Previous Previous post: How Promotional SMS Service Provider can help Your Business Grow?